The first time I heard the word Putnala pappu was only after blogging. We call the fried gram differently and add to the confusion, Athamma refers to it differently too. The many different names each ingredients has, even among people from different parts of the same state, astounds me. So the first time I read about this word, I really had to research. I was surprised to know that it’s the same stuff we make, though call it differently. Amma is not very much into making spice powders or pickles. We constantly have couple of spice powders/ gun powders on regular base at home. So my knowledge of these condiment stems from interacting with Athamma. She is a master at making a chutney with anything. For that matter, a pickle or even spice powder gets done the same way. If you can imagine a watermelon seed spice powder, I am sure you will accept that she is a genius. So when my colleague, who lives in Andhra, got us this Putnala Pappu Podi, I had to carry some to show to Athamma. She said she makes it too and sometimes replaces certain ingredients for making it suitable for garnishing vepudus also. However this condiment that I got was purely to be eaten with Dosa or mixed with Rice. It was really so potent and strong that you will need to add ghee to neutralise the effect. But wow the taste was awesome and super spicy! And this gets attributed as one of those Authentic Andhra Spicy stuffs. 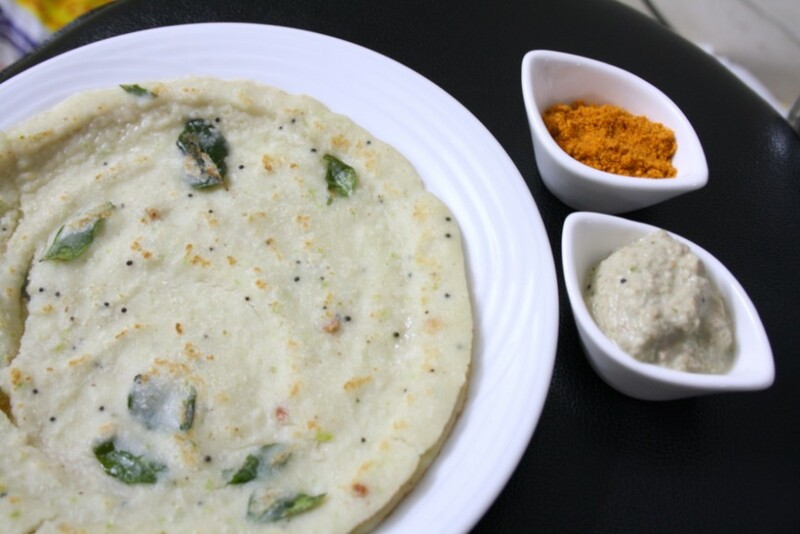 So if you are game to some spicy podis, then you must try this! In a mixer, take the garlic, cumin seeds along with fried gram and grind to a powder. Grate the copra and grind to a powder separately. Pulse again for couple of times. If we want to store the powder for more than a month, you can refrigerate. Spice level can be increased according to preference. This yields large batch. So you can refrigerate in small quantities. Have tasted this in a friend's place… thanks for sharing..
Flavorful and delicious looking powder,Even I was thinking of this powder for the BM. one of most used podis in my house…yummy! Super flavourful pappu podi, wish to have with anything. Valli all I can say is u r one lucky lady…yes to have ATHAMA…do give her my respect and regards..i love that lady for her being what she is! !..no words for a genius!! Good one. Mine was similar but adding coconut might give a different taste. Yummy paruppu podi, Can imagine the flavour. love this version as well.